Ladies and gents, this is the moment you’ve waited for… This is the greatest show! Bring your voices and your best Greatest Showman costumes and join us as we celebrate circus and family with a sing-along under the Big Top! 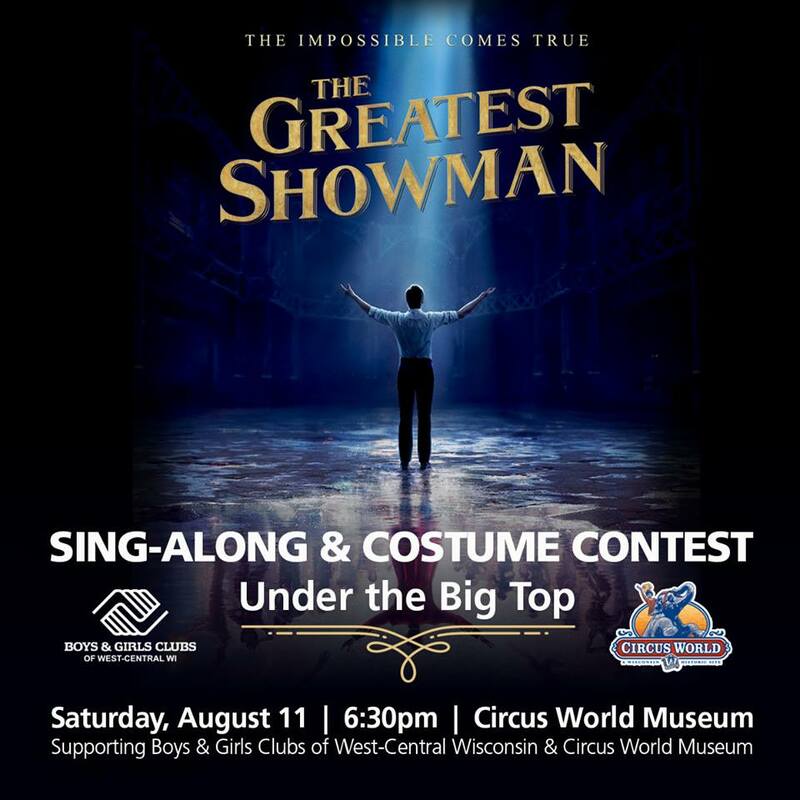 Proceeds support the Boys & Girls Clubs of West-Central Wisconsin & Circus World Museum. This Oscar-nominated, Golden Globe-winning musical is the beautiful, dazzling story of PT Barnum’s circus beginnings with the catchiest music you can imagine, starring Hugh Jackman and Michelle Williams. Don’t know the words? No worry, we’ll have them onscreen. Inspired by the hit song from The Greatest Showman, dress as your favorite character from the movie. The evening will feature a costume parade in the circus ring. Prizes will be awarded for the best costume! General Admission tickets are for sale below. Please print your online order confirmation page and present the evening of as proof of purchase.